Music can help people who suffer and who can hardly find a way to find relief from their life issues. Improvisation and singing, rhyme analysis, listening to music, these activities can move, stimulate and help our mind and our passions. Music therapy can be the answer to treat psychosomatic illnesses and mental disorders, and it can be a wonderful tool to find a way out and a light in dark moments. In this playlist, you will find some lounge, chill-out, jazz and trip-hop songs that can help your day become wonderful. A relaxed, comfortable environment. Music can be a transformative experience for both the musician and the listener. After all, the right tune can help us to take on the world and believe that anything is possible. All in the span of a few minutes, it can move us to sadness or joy, and figuratively transport us to another place or time. It can elevate our everyday life and aid us in reaching our goals. This same approach of using music to get in the zone works for athletes as well. For runners, the right track can help to Source enhance their performance. For instance, runners who listen to an upbeat song tend to run faster than runners who listen to slow songs or neglect listening to music completely. Listening to music during training can also help athletes to push themselves in a positive way to prepare for a game. It can be just the motivation they need to workout longer, harder, and better. But it can also make all-day training much more pleasurable, which isn't something to be taken lightly when someone makes his living as an athlete. To expand upon music's stress-reducing abilities, listening to classical music can help to calm both our bodies and minds. It has even been shown to have a calming effect on dogs, helping them to relax when they're agitated or scared. Even if you're not a huge fan of classical music, try giving it a chance the next time you're looking to unwind. It has been shown to lower blood pressure, reduce a rapid heart rate, and minimize stress hormones. Music can also be a great tool to use while meditating because it can disrupt negative thoughts, improve mindfulness, and help us to focus on having a more calming experience. And because of classical music's stress-reducing capabilities, it can also help us to sleep better. Long-term musical training and participation is also believed to improve academic performance, particularly in young students. Over the years, there have been a number of studies seeking to prove a correlation between musical training and academic performance, but few that have focused on the long-term benefits of musical education. The results of one particular study - which followed 147 young children for two and a half years - showed that students with long-term musical education tended to experience improved cognitive functioning, specifically in regard to planning, attention, memory, and initiation. This was believed to carry over into other areas of their life, such as their academic performance outside of musical education. These are just some of the ways music can aid us day to day. If you've ever doubted the power of music...clearly you should be listening to more music. Maybe you just need to find a new playlist that speaks to you, or find a new way to incorporate music into your life. Set your alarms to play your favourite songs when you wake up, listen to music on your commute, hum a song while doing chores, finally purchase those concert tickets you've been eyeing, or take up a new instrument. Let your favourite songs seep into every area of your life and transform your day in a positive manner. You might not truly believe that music can help you to take on the world until you experience that very feeling. So, what's stopping you? Go discover that feeling. Have you recently entered into recovery for drug or alcohol addiction? Making the decision to seek help for your addiction is a big step, so it's important to find ways to stick to your treatment plan. That's why more and more rehabilitation programs are beginning to realize the benefits of including creative therapies, such as art and music, in their overall treatment plans. Wondering how these activities could help you? Read on to find out more. Addiction can take up a lot of your time. From finding your next fix to getting high to hiding your addiction, you may have been pretty busy before you entered into recovery. This downtime, and the resulting boredom , can be a big trigger for former addicts and cause them to start using again. Hobbies offer a constructive, often creative, way to fill this open time and avoid boredom. Picking up a paint brush, strumming a guitar or working on some writing can keep your mind occupied and your time filled with activity, helping you avoid relapses that can set your recovery back. Whether it's a playlist or your own fingers on a piano, studies have shown that music has the power to impact your mood, it is an activity of music therapy. 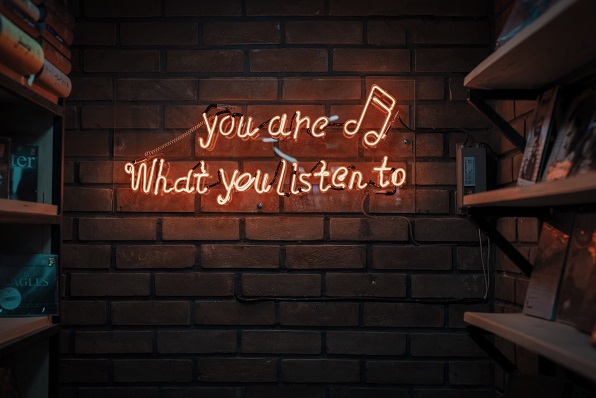 Addiction recovery is filled with ups and downs, but music can help you have better control over your feelings, or at least over the way you express those feelings . Whether you need to feel happy, sad or motivated, there are songs to help you work through your emotions. 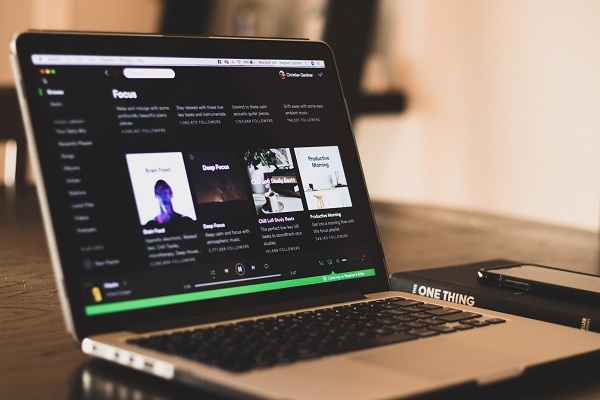 Customize different playlists to fit every mood or learn to play your go-to songs on your own. 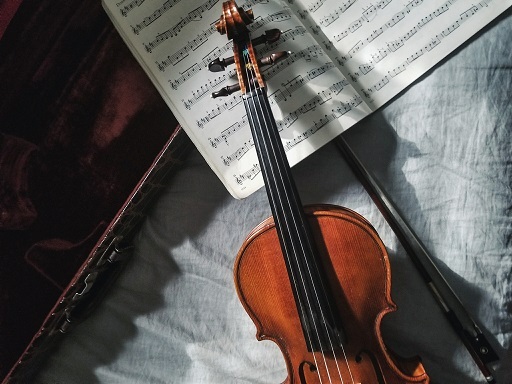 Learning to play an instrument can be beneficial for your mind, body and soul, so use the open time you have in rehab to develop your musical talents. Stress is just as much a trigger as boredom and managing yours is necessary during recovery. It may surprise you to know that a stroke of a paintbrush could be just what you need to decompress. While most hobbies can help with stress, creative activities seem to be some of the best ways to relax after a difficult day. Many recovering addicts find that drawing or painting helps them release some of their stress and express their emotions in a healthy way. Picking up a pencil could help you prevail against your own drug or alcohol addiction. Having your own space to practice your hobby will keep you inspired. HomeAdvisor notes, "Everyone deserves to have their own space for their passion project, be it a crafting station or simply a place to journal. Look around your home with a creative eye, and you'll realize that much of what you need to create your ideal hobby workshop is already nearby and can be easily converted." A table, a chair and some good lighting can help you get started. To encourage creativity and calm, think about adding some inspiring decor, and use scents to keep your mind open while you practice your hobbies. Working through recovery means your schedule is likely filled with therapy, meetings and other traditional treatments. Use the time in between to work on your music, art or writing. Be sure to set aside a few minutes each day to decompress through one of your chosen activities. If you need some inspiration or help staying on track, think about enrolling in local classes or taking lessons online . You could sharpen your skills while setting aside dedicated time in your schedule to work on your hobbies. Interacting with other creative people in classes could also give you the social support needed to feel connected during recovery. It takes a strong person to admit they need help and to begin treatment for an addiction. Recovery can be a long, difficult process. You need to find ways to deal with triggers and stress so you can stay strong during rehab. Combining creative therapies and hobbies with professional treatment could provide the focus you need during this important time. Most of us recognize the effects of music when it comes to how we feel. Upbeat tunes can keep us tapping our toes and snapping our fingers, while slow, mournful songs can rouse wistful memories and longings for bygone days. It turns out music can be more than a trigger for our moods. Music offers powerful benefits to both our mental and physical health, including for seniors. The fountain of youth. Participating in music appears to offset some of the effects of aging. According to some studies, if you played a musical instrument during your childhood years, your mind remains sharper through old age. It also appears to help retain the ability to hear. 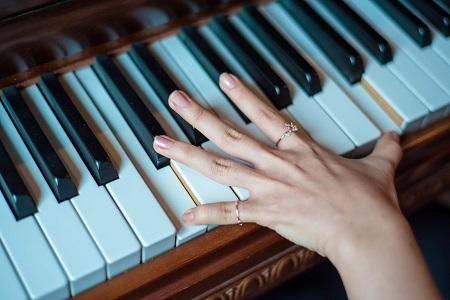 For seniors between the ages of 60 and 85 with no previous musical experience, learning to play the piano is shown to enhance memory and improve mental processing capabilities. It seems that the part of the brain associated with hearing is prevented from deteriorating by engaging it musically. .
Music and the mind. Music therapy offers many mental health benefits, which is thought to be because of the powerful affect it makes on the brain. Music triggers not just one emotional system in the brain, but it appears to have the unique capability of creating a response from all of them simultaneously. According to the American Psychiatric Association, music lowers stress levels, reduces depression, and lowers anxiety. Thanks to the power of music, people who suffer with insomnia are able to improve their sleep quality. Older adults who listen to music are more positive about life and are happier overall than those who do not. In fact, some studies show a flood of feel-good chemicals in the brain when listening to music. Music can decrease agitated or angry behavior and alleviate behavioral changes caused by diseases such as dementia. Psychology Today reports playing music can even help dementia patients with accomplishing tasks which otherwise prove difficult, such as dressing or bathing. Music enhances one’s social life, improves communication, builds one’s sense of identity, and even strengthens the feeling of community connectedness. .
Healing power. Music not only holds power over the mind, but also over the body. Music can reduce chronic pain levels, help heal stroke victims, encourage the improvement of motor skills, lower heart rates, lower blood pressure, and enhance healing from surgery. People suffering with Parkinson’s Disease can improve their steadiness and coordination. Older adults who play instruments don’t experience the same levels of hearing loss that non-musical adults experience. People suffering with cancer appear to have improved immune function and an increase in natural killer cell activity when listening to music, and people in hospice care experience improved breathing, less sleeplessness and reduced pain. .
Making music part of your life. There are numerous ways to incorporate music into your lifestyle. If you played an instrument in your younger years, why not enjoy a refresher? Dust off your old guitar or drum set and give it a whirl. If you enjoy musicals, opera or concerts, one idea is to download performances to enjoy from the comforts of your home. You don’t even need to leave the house if you decide to participate in music lessons. Thanks to modern technology, as they say, there’s an app for that! You can download a music instruction app on your phone, laptop or other device to help you get your groove on. Guiding Tech recommends trying GarageBand, SimplyPiano or Yousican Guitar. If you get very involved, you may decide soundproofing a room in your home is in order, especially if you live in a community where the living spaces are near to each other. A soundproofed room will give you the freedom to jam loudly to your heart’s content! . Better life through music. Music can improve the quality of life for older adults. Listening to and playing music can enhance both mental and physical well-being, and improve one’s social life and community. Participating in music is good for seniors all the way around! While I’m writing this, I am listening to Django Reinhardt’s songs coming right out of a Staimusic playlist. The playlist goes on endlessly, but I’m not really listening to it, it’s just the music I love to have around. But writing this article, and pondering about the topic, I felt the communicative power of music I am missing. We’re so accustomed to listening to music that sometimes we lose focus and start considering it just as the soundtrack of our days. Like when we’re driving in a traffic jam and put on the radio, we aren’t really listening to music, we are just using it as a means to dampen the noise of car engines outside. Or when we are studying in your room, and put on some music to fill the air and maybe help us concentrate. There are many ways we have devised to ignore the wonderful sound of our favorite band playing a song that was exactly made to elicit something: maybe a feeling of happiness, introspection, or maybe the singer wrote it just to share with us a great insight or piece of advice from someone who’s lived one of the possible experiences of life. And it’s the same every time we listen to music without even knowing we are. But think about all those moments when we were so into music, maybe during the teenage years, when we know by heart all the lyrics of our favorite songs. This is exactly the way music gives us advice. It’s its smooth way to tell us something, the singers, the instruments, the whole experience of listening itself. So, in Staimusic’s idea of slow listening, we are trying to get you back there. There is a lot to learn from aware, slow listening. First of all, you feel what music is trying to tell you. As normal people, we tend to ignore someone trying to give us a piece of advice, unless we look up to that person. But we’re always looking up to our favorite bands, aren’t we? This exact principle is what makes music therapy so efficient. Mental health and music therapy are relatively new topics in medicine; as a matter of fact, only in 1948 a pioneer of music therapy and a psychiatrist, Dr. Altshuler first set up a music therapy program to help people cope with a series of mental disorders. He defined what’s called the Iso-principle, that is pairing the music with a patient’s mood and then changing it to positively modify the same patient’s mood. This means we should really listen to the music we feel the most! Let’s take the traffic jam driving example above. If we just carelessly listen to the radio, then we wouldn’t enjoy the essence of music. But if we put on some crazy music and let some steam off, wouldn’t we feel soothed right after? And who cares about what your traffic jam neighbor is thinking? He’d probably do the same if we showed them this post! And then, following the Iso principle, we should treat ourselves with some calm, relaxing music to help us out the jam! I made the experiment myself, when I was a secondary teacher professor. I am a musician too, and of course a listener. When I was working in my school, we had less then a hundred students. Some of them were studying psychology related subjects, and in my class, we would often chat about mental health and music. We set up a little challenge, which was actually a sort of way to trick them into studying more while in a condition of relax. I asked them to browse a mental health related web page, pick a topic from the list and read the related articles while actively listening to the music they felt in that moment. The result was revealing, as they all seemed to finally understand why they had picked a song to listen to instead of another. After this brief, let’s say homemade experiment of ours, we took some time to discuss what we thought about music after this slow listening. Some felt a stronger link with what they were listening to, while others reconsidered their choices and admitted they would choose better in the future, maybe listening more to their feelings and shedding fashion. This is how music works! It gives us little pieces of advice if we pay the attention it deserves, a sort of personal meditation to get back to knowing our feelings and states of mind. "+response.description; //var html = "